We have been overwhelmed with the responses we have received to our ‘We need you’ email last week and just wanted to say thank you to all of those who have taken the time to email stella@telegraph.co.uk to nominate us for the Best Independent Boutique list 2019. The results will be published on February 17th 2019 in the Stella Magazine – until then we wait with baited breath and pretty much everything crossed…….. I would like to nominate our stores, collen & clare, for your list. I want to say thank you for creating such a buzz over the last week during what is always a challenging time of year. We have had customers popping in, emailing, phoning and generally talking so positively, not only about what we do, but also independent retail in general, such an antidote to the gloomy high street headlines bombarding us daily, thank you. To be recognised on your list would be a fantastic boost to my team and customers who all work so hard to support us. Whilst we have been at this for over 16 years I try very hard to keep front of mind that our job is to trust our instincts – to back a new brand when it feels right and to walk away from a brand when it doesn’t. We take huge pride in helping ‘build’ wardrobes for our customers whether they are CEOs, OBEs, butchers, bakers or sparking wine makers. Fashion is what drives us but seeing customers confidence blossom is what gives us pride. It is not just about buying and selling clothes; we work with charities hosting fashion shows, sponsor students through University and provide work experience schemes launching buying careers. We generate our own imagery for our website and social media feeds, styling our brands the ‘c&c’ way. We commission original art projects to bring our windows to life and engage our audience. 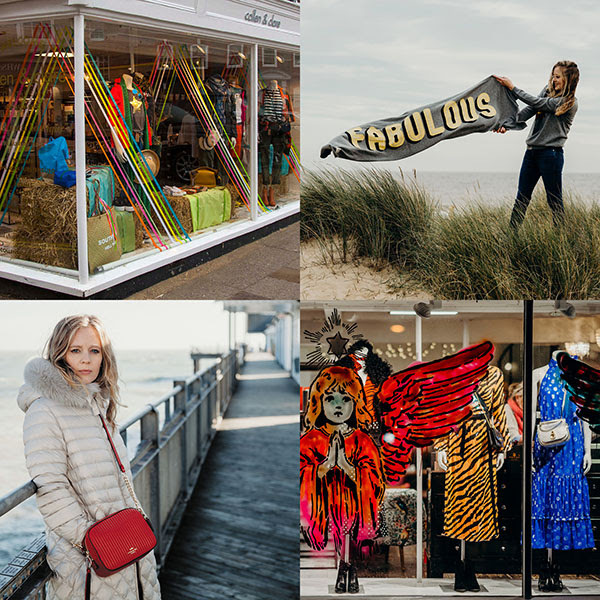 We support other local businesses hosting ‘pop up’ stores in store and collaborate with larger businesses to attract visitors to our destination towns. Most importantly we nurture a working environment that is supportive and fun to come to both as a team member and a customer.